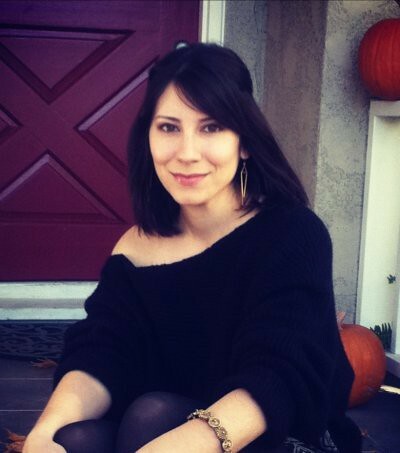 Because of Madalene: I've Been Featured! Many thanks to one of my favorite and most talented bloggers/writers I know, Melissa Blake, for featuring my up and coming blog! Check it out. It was a good excuse to get back into the artsy side of life that I lost touch with simply due to life getting in the way. And it turned into something so much more! Dedicating this open-book diary to my Great Grandmother Madalene inspired me to not lose sight of the things that really matter...like good food, family and fun hobbies! What do you love the most about blogging? Does anything about it stress you out? Due to all the family recipes and stories I've shared on the blog, I adore the deeper connection it has allowed me to have with my loved ones. It often triggers old memories from my mom that I am so excited to learn and share through the blog. Blogging is a full time job! Wanting to stay dedicated, it sometimes can be stressful to find time to blog every day, especially since I already have a full-time job and a busy life. 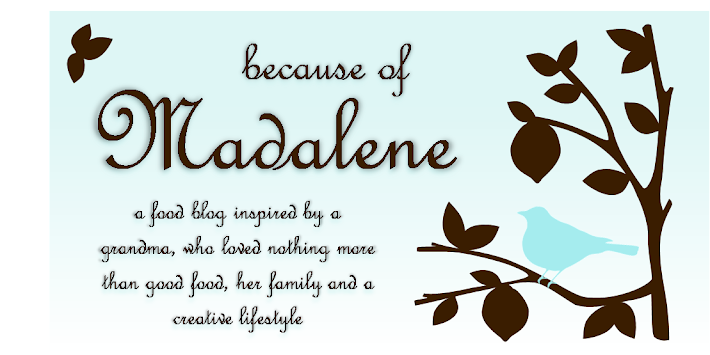 Because of Madalene is a blog about family history, delicious food, fun crafts and life lessons. It has taught me how much potential I have to explore other creative avenues in life, like writing and cooking. What advice do you have for new bloggers? Keep it up! Stay dedicated and loyal to your blog. If you are committed, only good things can follow. Where do you see yourself and your blog in 5 years? I plan to continue to share my family stories and recipes, but also hope the love I've found in blogging can lead me into a creative career I adore doing. What has surprised you the most about blogging? I never realized how ginormous the blogging community is. I've learned so much from others about their thoughts on life and experiences. It really has opened my eyes to a different networking world that I've unexpectedly come to love.